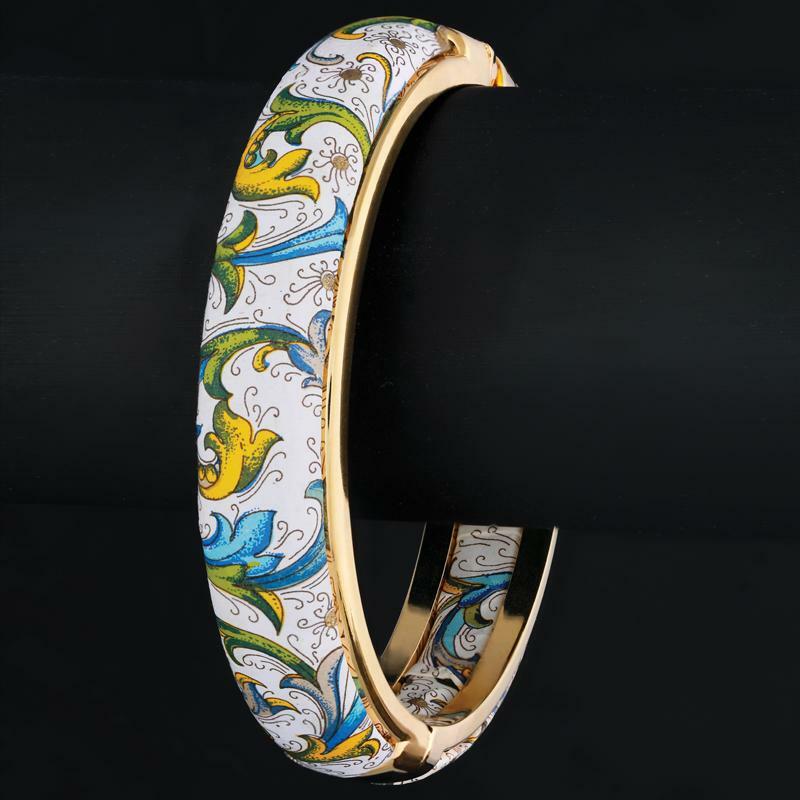 These bangles come from a workshop that has been honoring the legacy of handmade Florentine paper art for over three decades. In their light-filled studios you won’t see any high-production equipment, computerized machinery, and certainly no copiers. What you will find are rolls upon rolls of the finest handmade Italian paper awaiting the ingenuity and craftsmanship of the artisans palette. This age old art form is showcased beautifully on hinged bangles wide enough to celebrate the exquisite patterns of flowery plumes, graceful leaves and swirling seas of blue and green. These designs are inspired by the traditional Florentine patterns of the Renaissance that are just as admired and appreciated today as they were in the 16th century.